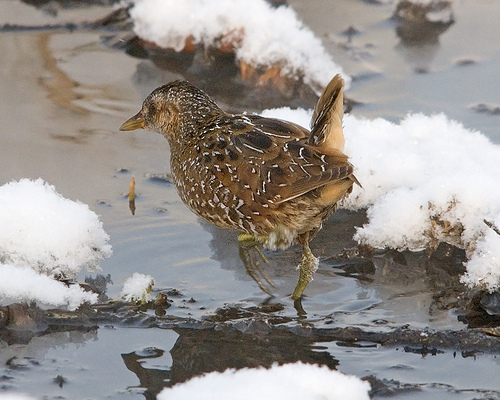 The Spotted Crake is a bird you will not see very often. He's not really shy, but when hidden in the reeds, it is almost impossible to notice the bird. The distinctive loud noise can be heard from afar. 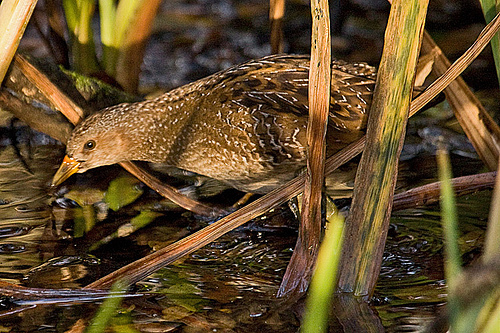 The Spotted Crake has a short beak. The beak of the Water Rail is long. The Water Rail has a greyer body.